The narcissist is the centre of the world. He is not merely the centre of HIS world - as far as he can tell, he is the centre of THE world. This Archimedean delusion is one of the narcissist's most predominant and all-pervasive cognitive distortions. The narcissist feels certain that he is the source of all events around him, the origin of all the emotions of his nearest or dearest, the fount of all knowledge, both the first and the final cause, the beginning as well as the end. 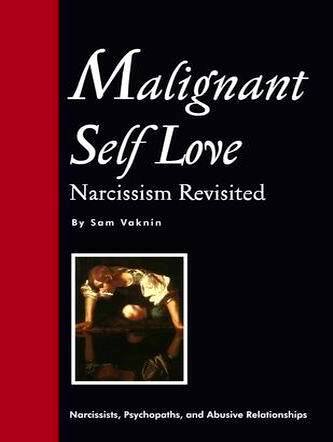 The narcissist derives his sense of being, his experience of his own existence, and his self-worth from the outside. He mines others for Narcissistic Supply - adulation, attention, reflection, fear. Their reactions stoke his furnace. Absent Narcissistic Supply - the narcissist disintegrates and self-annihilates. When unnoticed, he feels empty and worthless. The narcissist MUST delude himself into believing that he is persistently the focus and object of the attentions, intentions, plans, feelings, and stratagems of other people. The narcissist faces a stark choice - either be (or become) the permanent centre of the world, or cease to be altogether. This constant obsession with one's locus, with one's centrality, with one's position as a hub - leads to referential ideation ("ideas of reference"). This is the conviction that one is at the receiving end of other people's behaviours, speech, and even thoughts. The person suffering from delusional ideas of reference is at the centre and focus of the constant (and confabulated) attentions of an imaginary audience. When people talk - the narcissist is convinced that he is the topic of discussion. When they quarrel - he is most probably the cause. When they smirk - he is the victim of their ridicule. If they are unhappy - he made them so. If they are happy - they are egotists for ignoring him. He is convinced that his behaviour is continuously monitored, criticized, compared, dissected, approved of, or imitated by others. He deems himself so indispensable and important, such a critical component of other people's lives, that his every act, his every word, his every omission - is bound to upset, hurt, uplift, or satisfy his audience. And, to the narcissist, everyone is but an audience. It all emanates from him - and it all reverts to him. The narcissist's is a circular and closed universe. His ideas of reference are a natural extension of his primitive defence mechanisms (omnipotence, omniscience, omnipresence). Being omnipresent explains why everyone, everywhere is concerned with him. Being omnipotent and omniscient excludes other, lesser, beings from enjoying the admiration, adulation, and attention of people. Yet, the attrition afforded by years of tormenting ideas of reference inevitably yields paranoiac thinking. To preserve his egocentric cosmology, the narcissist is compelled to attribute fitting motives and psychological dynamics to others. Such motives and dynamics have little to do with reality. They are PROJECTED by the narcissist UNTO others so as to maintain his personal mythology. In other words, the narcissist attributes to others HIS OWN motives and psychodynamics. And since narcissists are mostly besieged by transformations of aggression (rage, hatred, envy, fear) - these they often attribute to others as well. Thus, the narcissist tends to interpret other people's behaviour as motivated by anger, fear, hatred, or envy and as directed at him or revolving around him. The narcissist (often erroneously) believes that people discuss him, gossip about him, hate him, defame him, mock him, berate him, underestimate him, envy him, or fear him. He is (often rightly) convinced that he is, to others, the source of hurt, humiliation, impropriety, and indignation. The narcissist "knows" that he is a wonderful, powerful, talented, and entertaining person - but this only explains why people are jealous and why they seek to undermine and destroy him. Thus, since the narcissist is unable to secure the long term POSITIVE love, admiration, or even attention of his Sources of Supply - he resorts to a mirror strategy. In other words, the narcissist becomes paranoid. Better to be the object of (often imaginary and always self inflicted) derision, scorn, and bile - than to be ignored. Being envied is preferable to being treated with indifference. If he cannot be loved - the narcissist would rather be feared or hated than forgotten.